Nestled amidst the pines on 19 secluded acres, this magical, one of a kind estate offers the peace, privacy and beauty of a Tuscan villa, with breathtaking views of Pikes Peak and the surrounding mountain vistas. No expense was spared in creating this architectural masterpiece, which exudes quality, character and elegance. Old World elements compliment every space, including Travertine stone tile from Turkey, Alder wood cabinetry, doors and trim, hand painted artwork and a grand hallway with arches and stately columns. 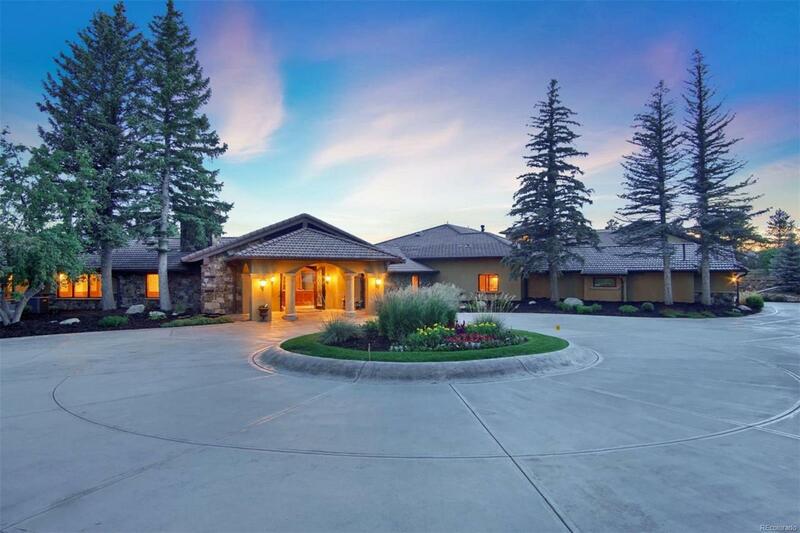 This spectacular residence offers a plethora of resort-style amenities including a salt water pool, a tennis court, a golf range, and an indoor ice rink that could house a horse arena, car collection, or serve as a multi-purpose sports facility.